Having a relatively new superbike, certainly very dear if it should be modified quite extreme. 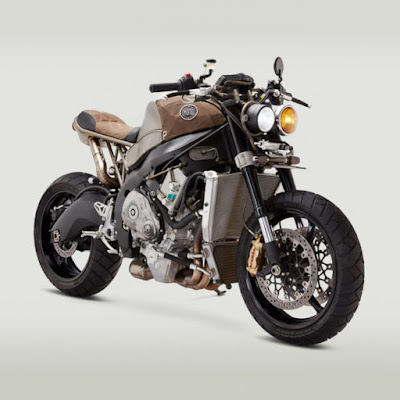 But it does not apply to Ron Belfort, a man from Hawaii who gave up the 2013 Suzuki GSX-R1000 of his overhauled into the pure streetfighter styled bike named 'Five-O 1000'. This decision was taken after Ron saw the Classified's Triumph 'Doomsdaytona.' 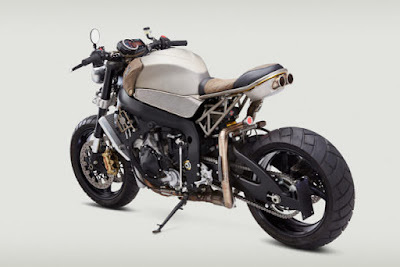 And he wondered if his 2013 Suzuki GSX-R1000 could be modified in the same style—making it more upright, more raw, and more apocalyptic. 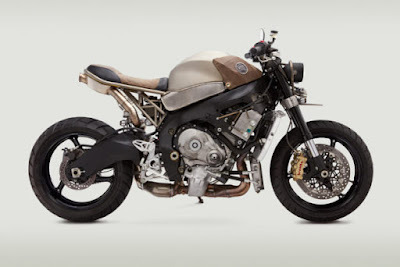 The execution had to cross the sea, because a motorcycle is done by the Richmond-based workshop Classified Moto. According to John, the owner of the workshop, said that technically the motor is called a streetfighter. "It’s been a while since a project made me nervous. But this one definitely did. Partly because 'Classifying' a modern sportbike is a rarity, and partly because the bike was shipped all the way from Hawaii," John said. Terms of the owners actually quite simple, and just ask for some things, especially with regard to security issues. Such as the use of the fuel tank which keeps the factory defaults, not much change the structure of the frame and swing arm, also want an under-seat exhaust. "Fortunately subframe of the GSX-R1000 can be removed, with mounting points in logical places," explained John, who also said that the trellis subframe is fabricated by Danik Herashchanka, technical head in his shop. In closing, to re-calibrate associated with the changes of exhaust, then the bike was also brought to the workshop Redline Performance Motorsports in Yorktown, Virginia. Thus the 180 horsepower engine performance is preserved.